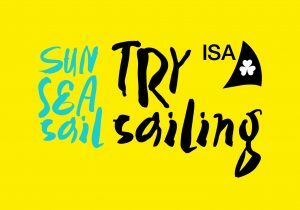 For the month of June we run an open try sailing evening every Tuesday (5th, 12th, 19th, 26th) 18:30-21:30 in Dunmore East with cruisers and dinghies. All you have to do is book through eventbrite then turn up with €10 in your pocket for a lot of fun (don’t forget to read preparations below ). We have 3 categories of booking. Teen/Adult – dinghy sailing. This event will take place in a fleet of Wayfarer or similar dinghies. Child (13 and under) – dinghy sailing. This event will take place in a fleet of Optimist dinghies under the watchful eye of our trained instructors. Cruiser sailing. For this event you will join our members for a cruise around the bay in their keeled sailboats. Please don’t turn up unless you have an eventbrite booking or confirmed registration via telephone. Weather OK. Try Sailing to proceed. Any updates/changes will be posted here. On the sea mother nature is mistress, the weather forecast will dictate your evenings plans. Please make sure to check the Latest section above before you travel in case of last minute cancellations. Do always remember you are going to be on the sea, it’s often colder and windier than you expect, so bring more clothing than you think you need. You may get wet so always bring a change of clothes and a towel to dry off. We have excellent changing rooms at the club house, you can take a hot shower afterwards if you wish. The club will provide life jackets/buoyancy aids but clothing will NOT be provided (that includes wetsuits). Children, especially, need to keep warm a long wetsuit is best and a windcheater essential. For cruisers please wear soft soled non marking deck shoes or runners. The club can advise you on what you will need to wear, especially if you want to try dinghy sailing. See our dinghy sailing introduction page for recommended dinghy wear.